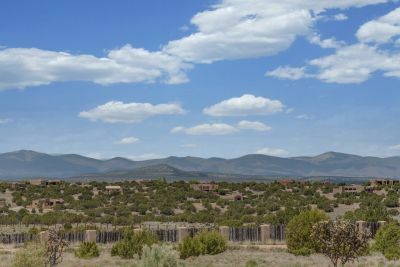 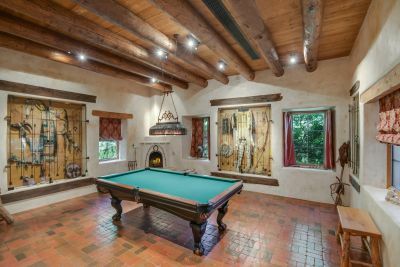 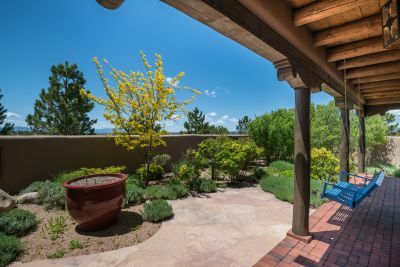 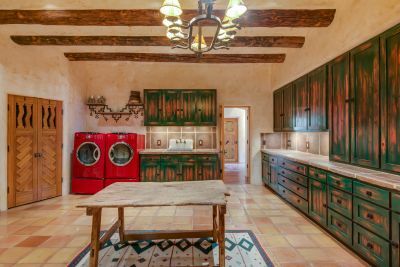 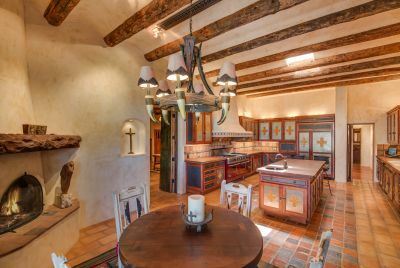 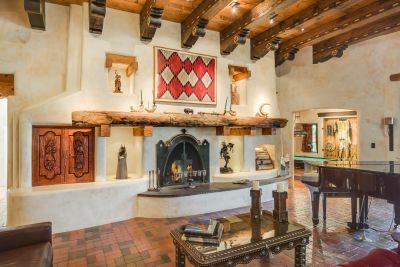 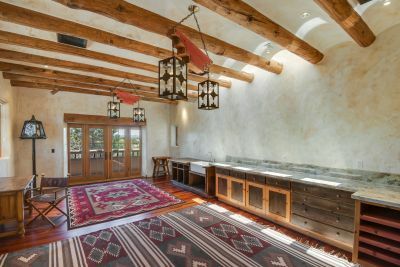 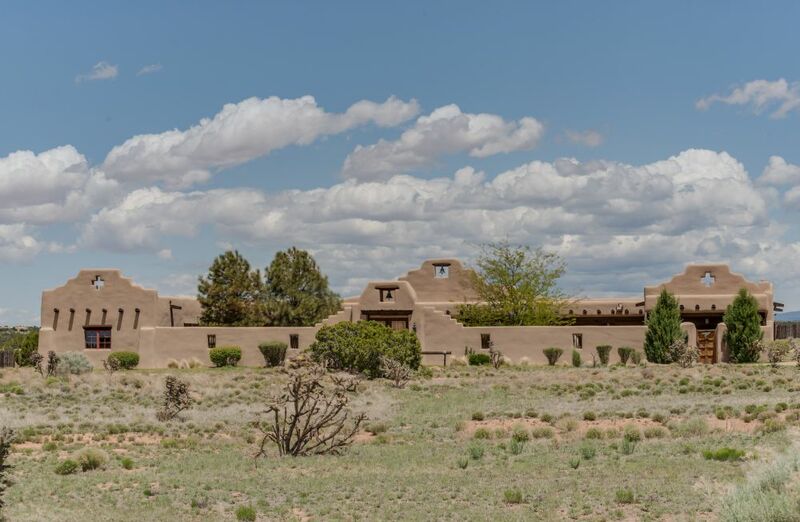 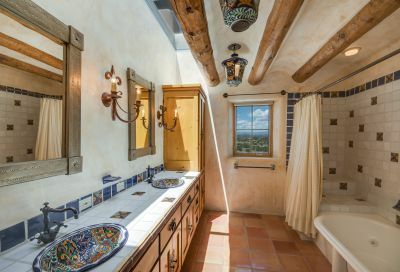 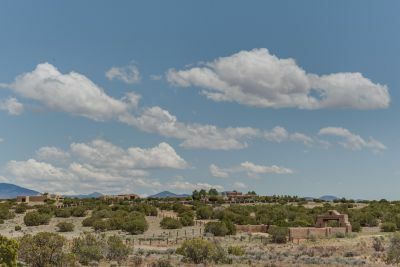 A luxury home/ranchette with all the amenities imaginable on fenced 219 acres less than a 20 minute drive from the Santa Fe Plaza and it has great views of the Sangre de Cristo and Jemez mountains! 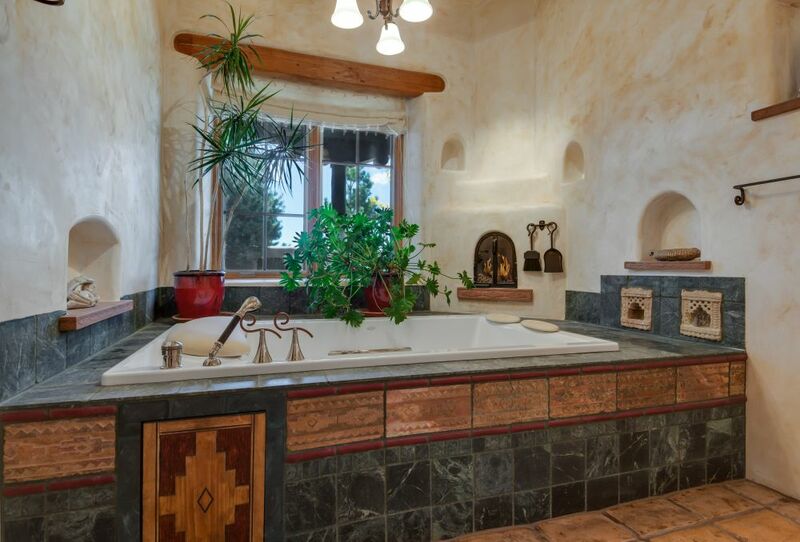 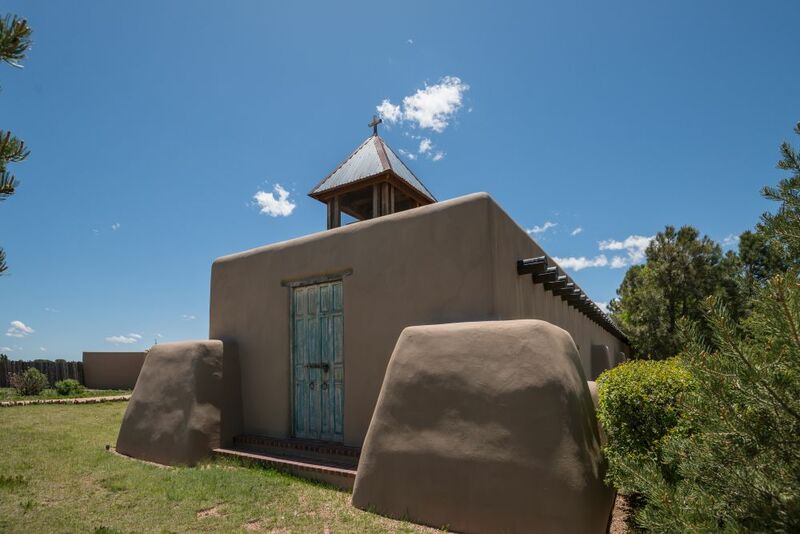 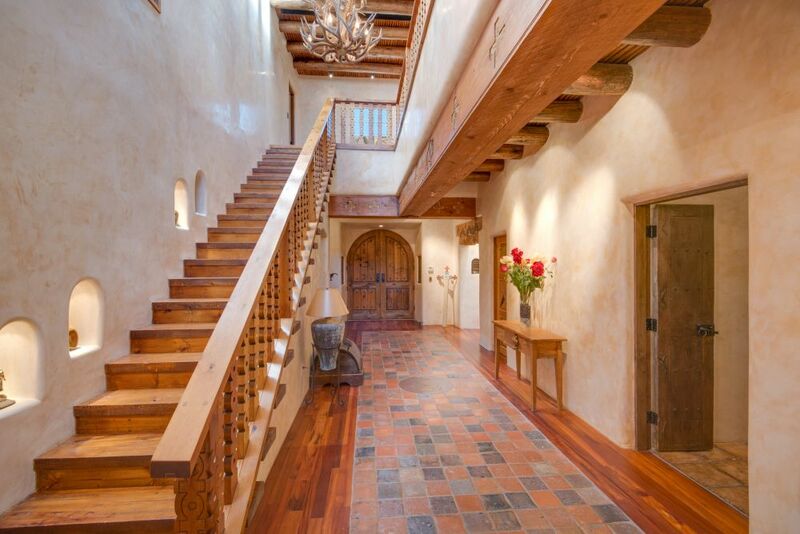 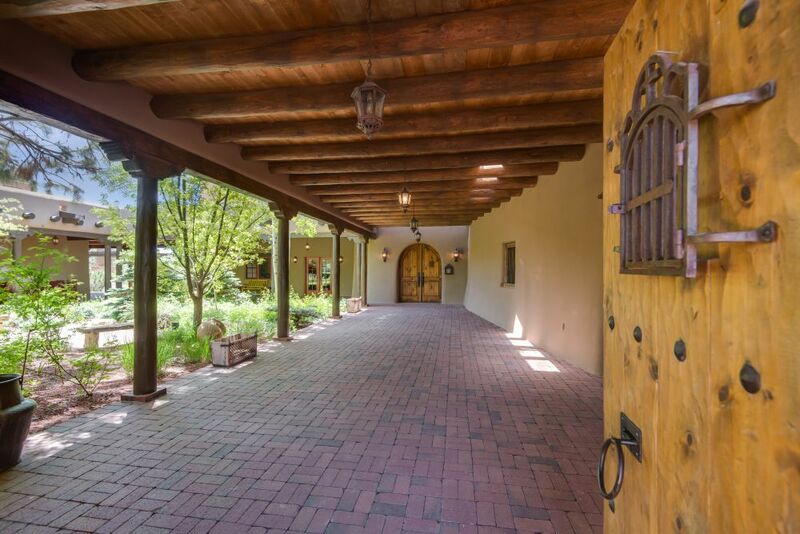 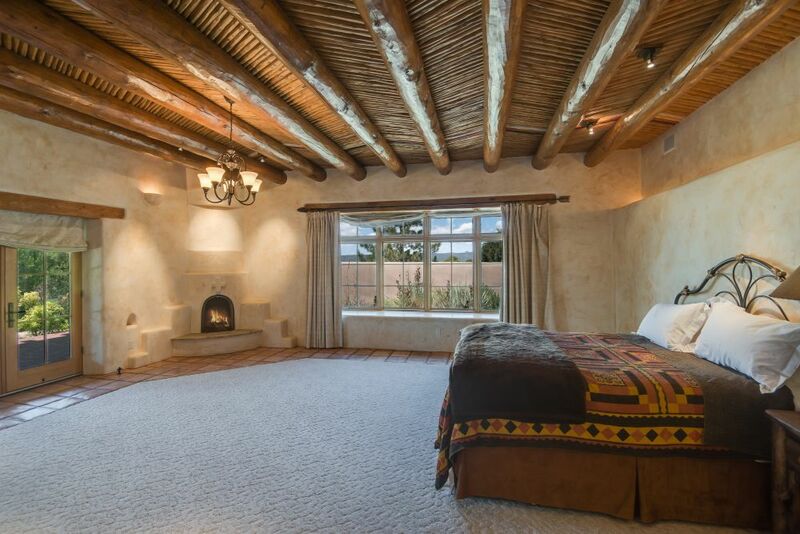 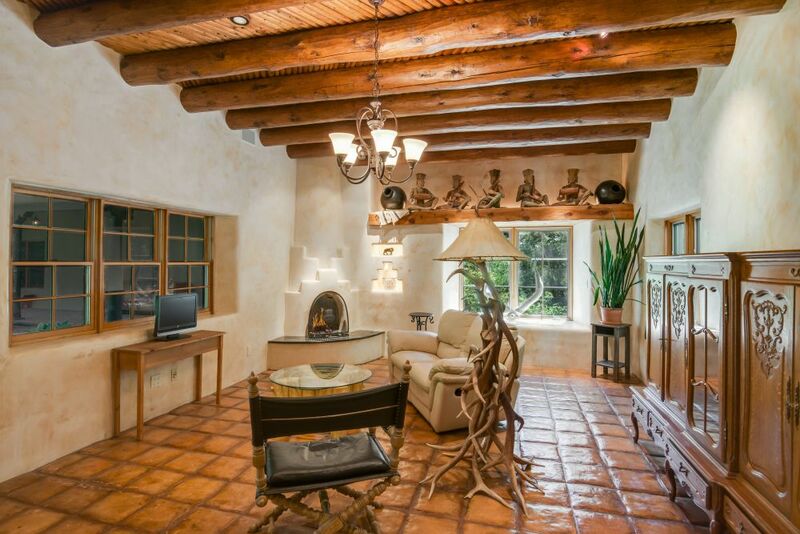 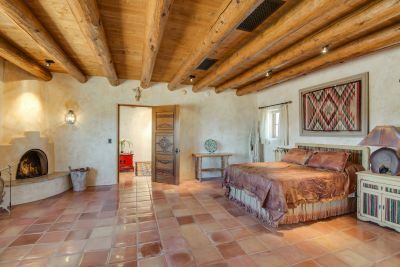 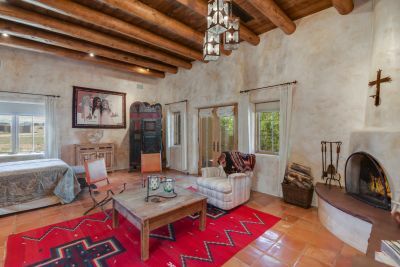 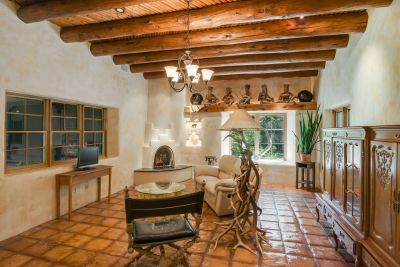 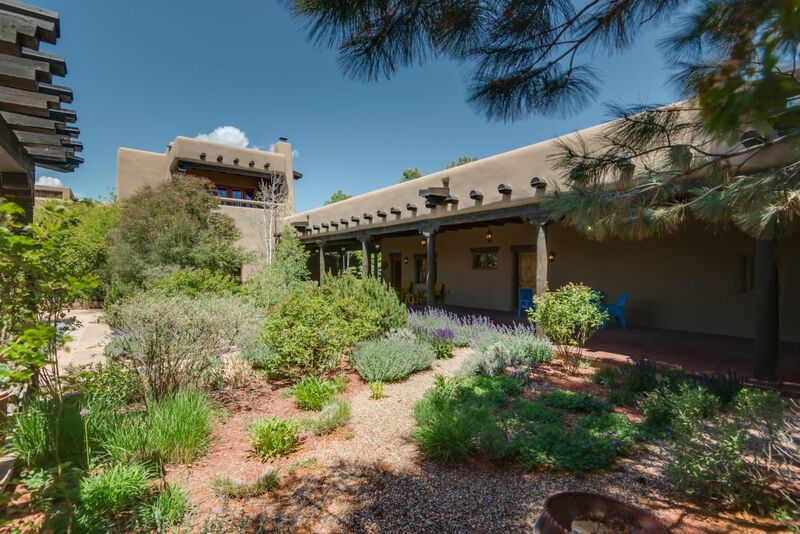 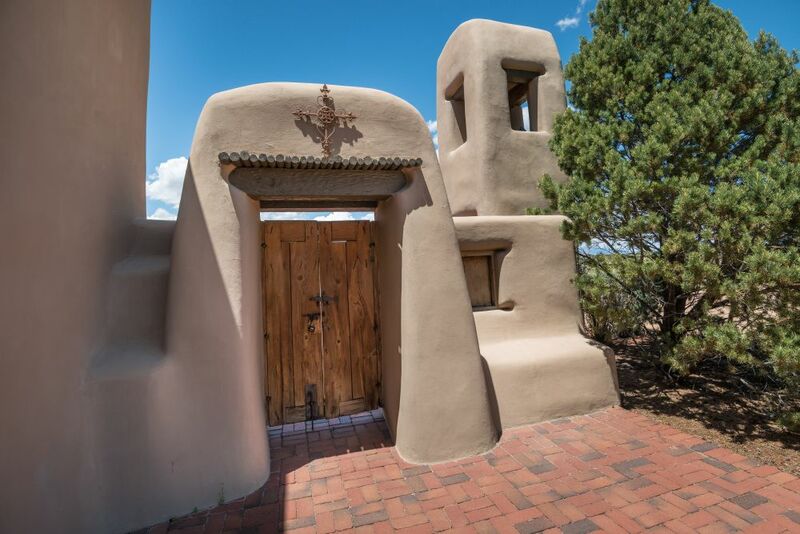 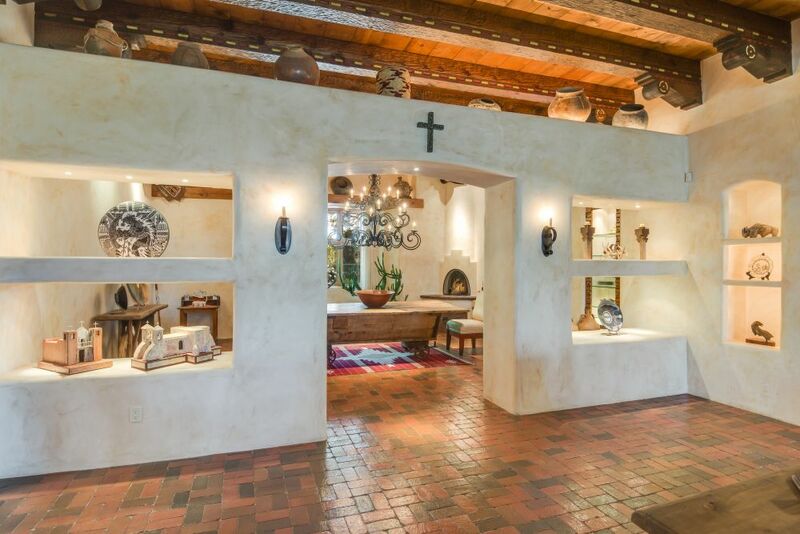 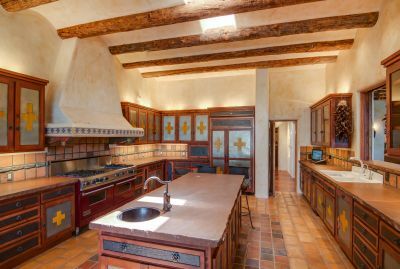 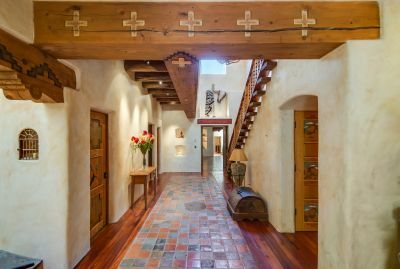 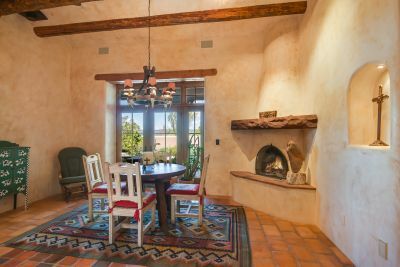 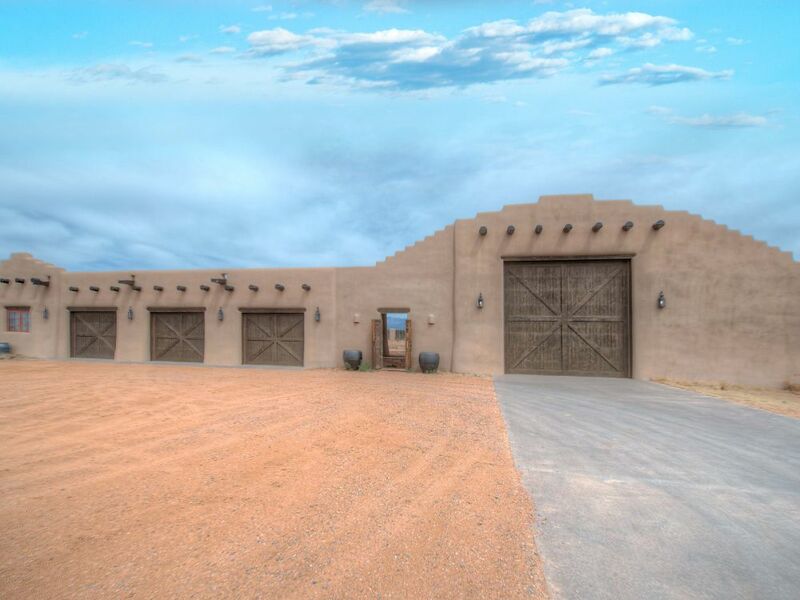 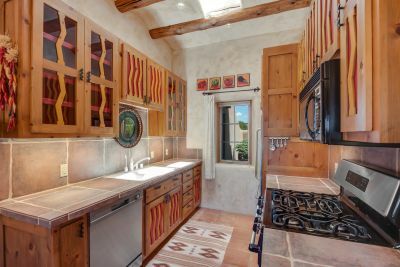 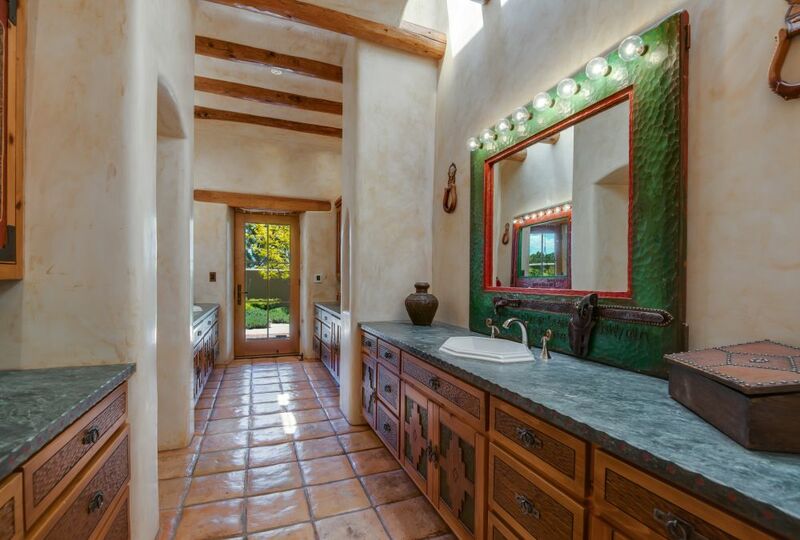 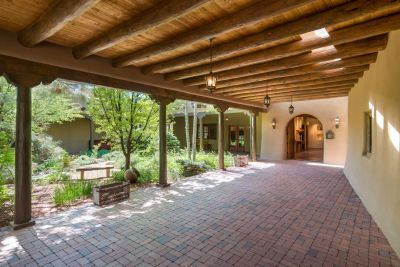 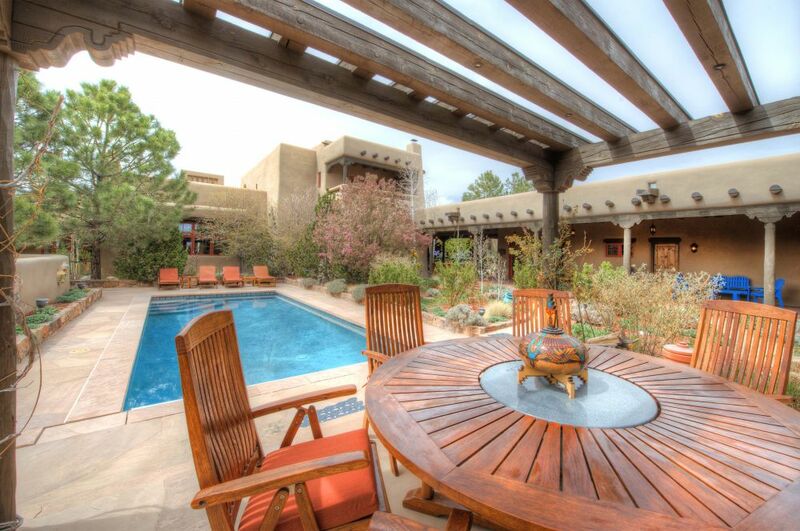 Located between Las Campanas and the Marty Sanchez Golf Course, this approximately 8750 sq. 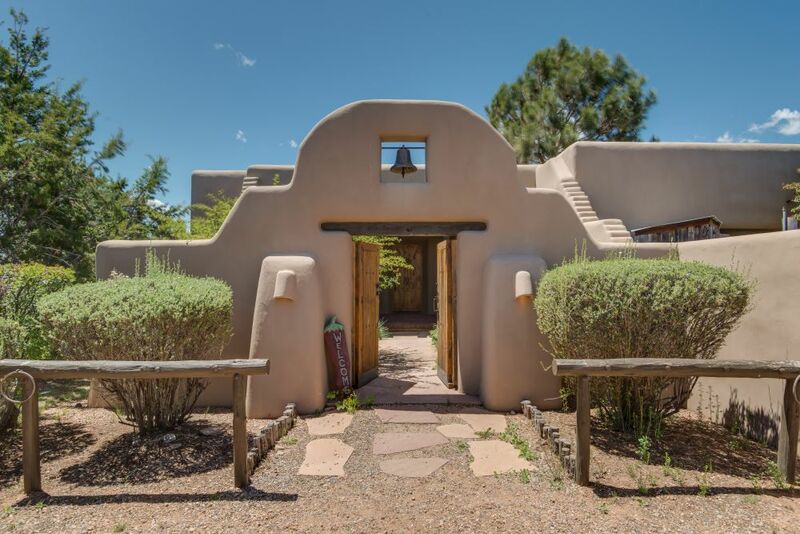 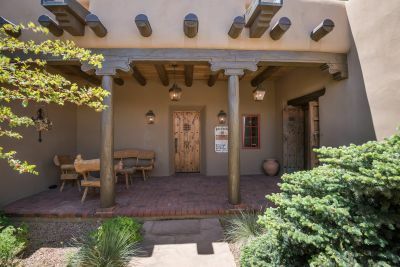 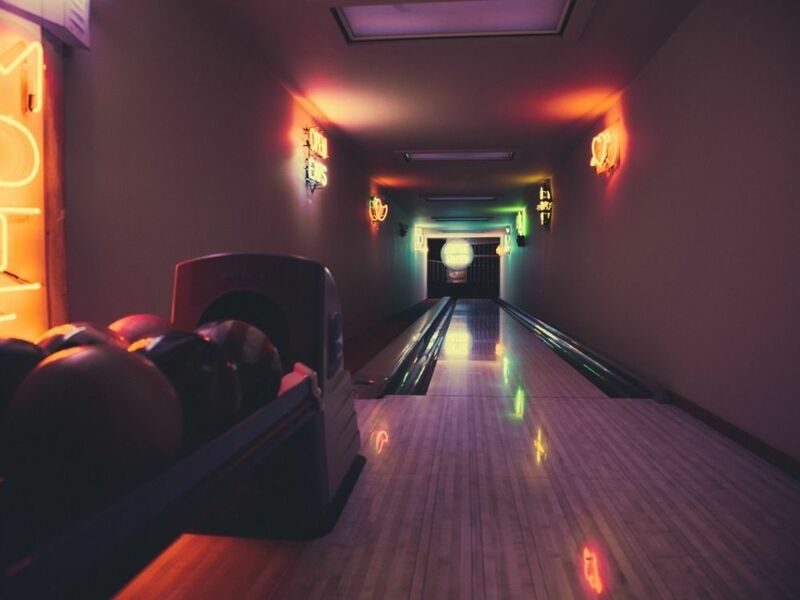 ft. all adobe main house contains 3 bedrooms, a large living room, country kitchen, formal dining room, media room/library, pool/rec room, gracious master suite, lots of closet space, office, 3 bathrooms all on the main floor. 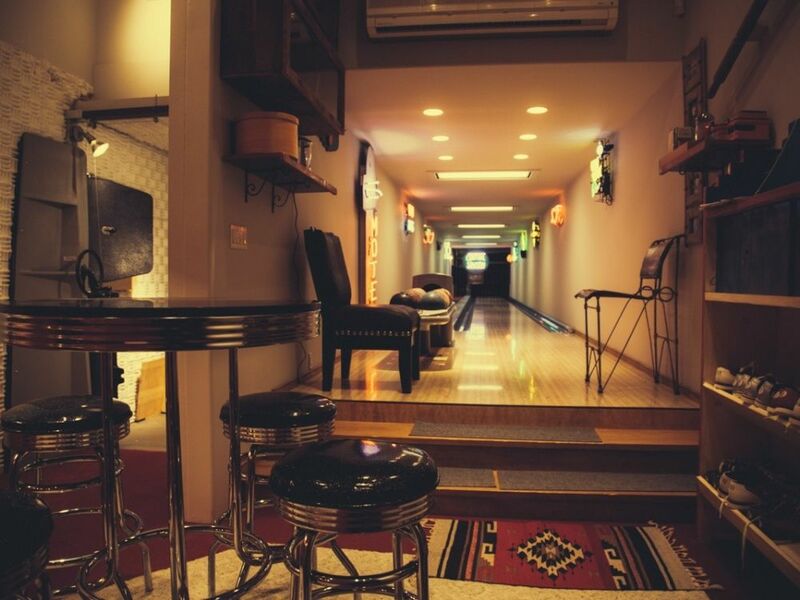 The 2nd floor has a full guest suite, studio and walk-in vault. 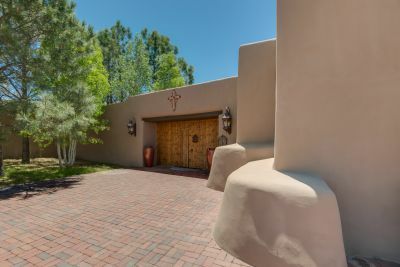 It also has an over-sized 3 car heated, attached garage and parking area with a snow-melt feature. 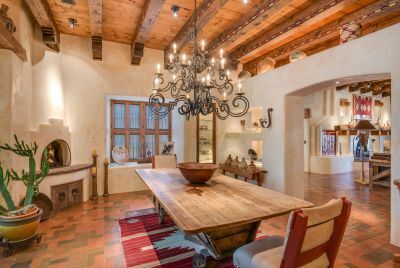 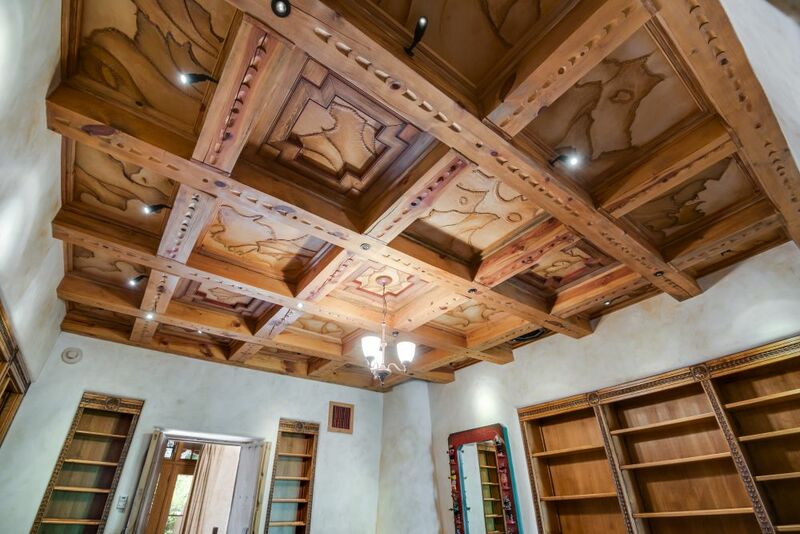 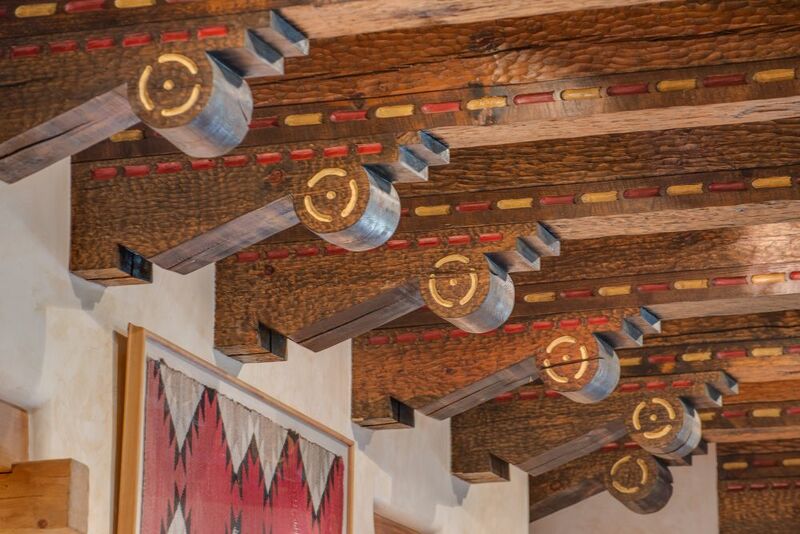 The house is rich with hand-carved doors, corbels, inlaid details, stitched leather ceilings, vigas, 10 fireplaces. 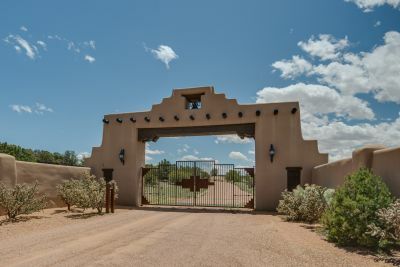 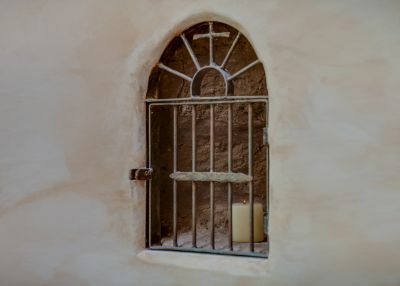 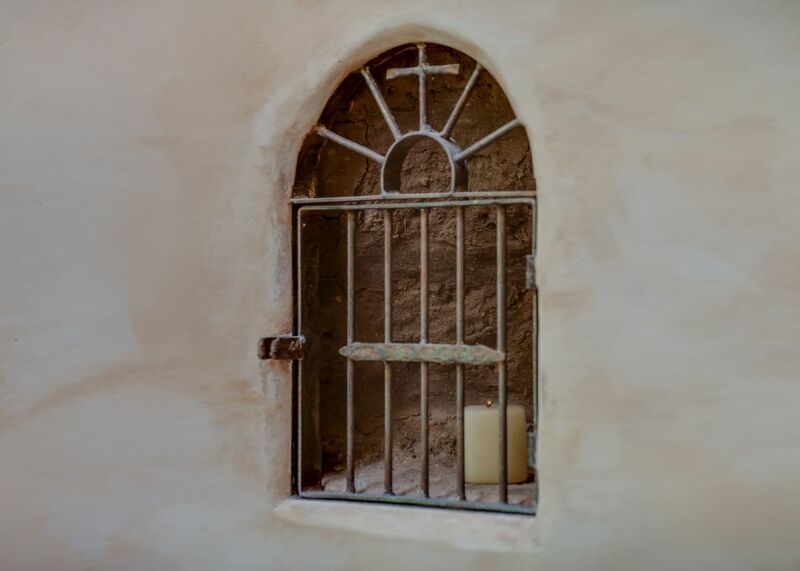 Enter this amazing property through a towering adobe arch, and experience the complex of main house, guest house, TV production studio/gymnasium with attached bowling alley & shooting range, designed to resemble a Northern NM Chapel from the outside, a stable building with 12 stalls with complete living quarters, another 3 car heated garage building, workshop and bus garage, plus a green house and a caretakers office. 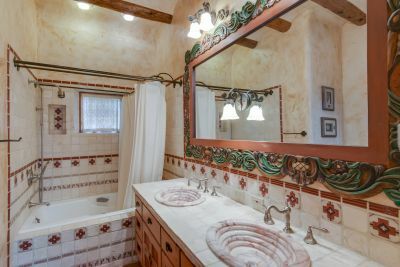 The property has its own well and fire suppression system, gray water and potable water storage. All buildings are adobe and have natural gas, security system, CCTV and telephone. The total sq. 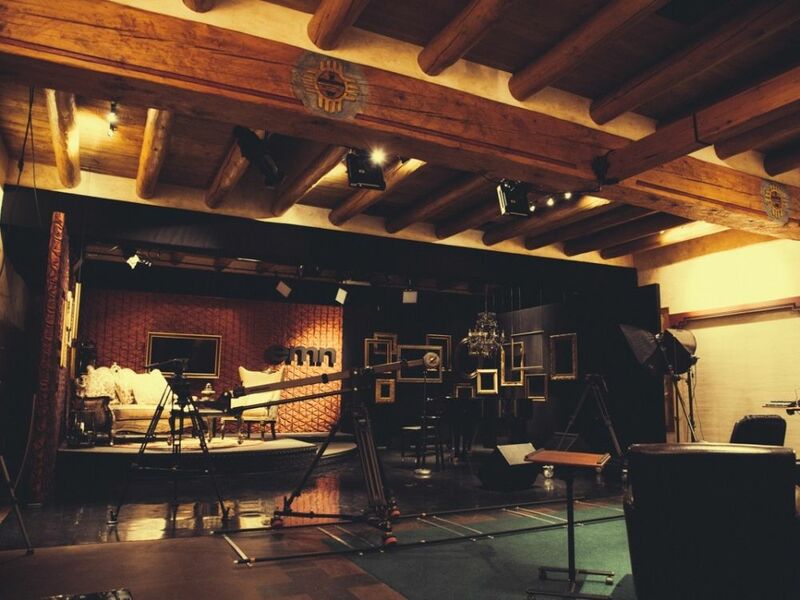 footage is approximately 20,000.